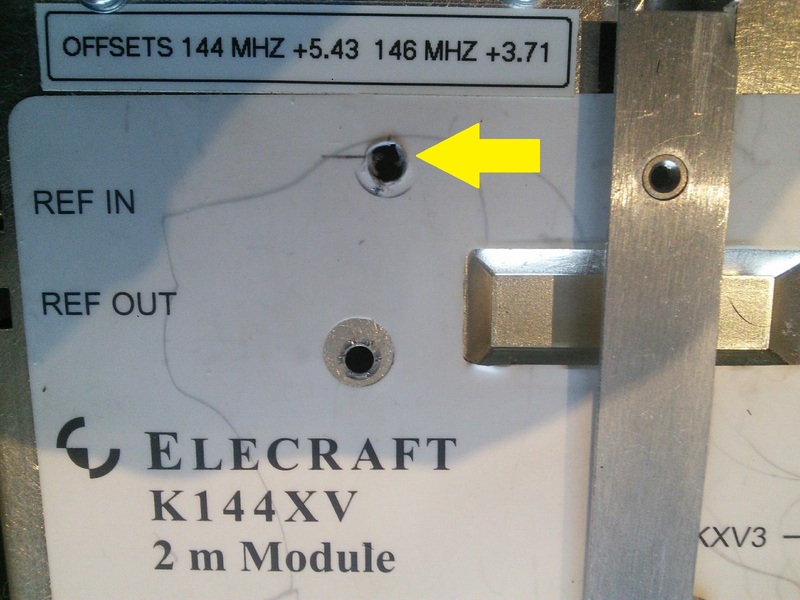 Having suffered with the K144XV internal transverter's lack of useful output adjustment range, I finally decided to do something about it. 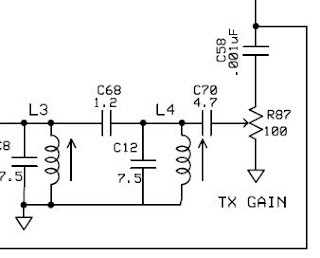 The issue is that with the power control fully clockwise the 144 MHz output power is 9W. With the power control fully anticlockwise the output is 1W. This is the only band you cannot turn the output down to 0W!. If you set the the IF level to -10dbm, fully anticlockwise is still 1W, as is every other setting of the knob. The issue was raised with Elecraft over 3 years ago, but they said there was no software solution. They did point out that there is a drive pot in the module that could be adjusted to make the maximum level suit my transverter. After blowing up the pin diodes in my DB6NT transverters on more than one occasion, it was time to investigate. I set VR4 to give 1.2W with the drive level set in the menus to 0dBm. The adjustment range is similar, but now there is no risk of overdriving and destroying the transverter. Another advantage of the new configuration is that the positive voltage on transmit present on the XV connector centre pin is retained for transverter switching. 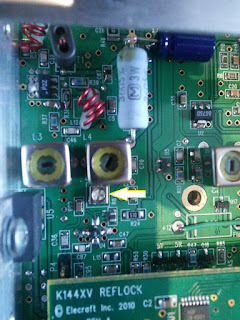 Previously with an external attenuator the DC component was dissipated and an external Bias-T was needed to switch the Transverter.